Born in Bedford-Stuyvesant Brooklyn and raised during the early '90s, Ivory Moses was determined to beat the statistics of growing up in a crime driven community. She utilized Poetry and Creative Writing as a therapeutic outlet. As a child, her imagination had enabled travel to different countries, planets, and realms with the single stroke of a pen! Ivory is a voice for individual's battling Depression, for it has been her biggest life hurdle. Spirituality and determination have kept her balanced during her most trying times. Currently, she is a Journalist/Creative. 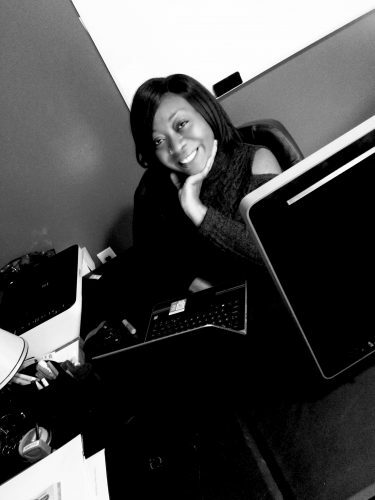 Writer for a successful digital/print publication called LV MAGAZINE. Her published works include a children’s book titled POETIC MUTANTS and an Urban Fiction novel titled ALMOST LOST. Ivory is also the Co-Owner of Sekhmet Productions (A budget-friendly film production company) She recently completed her first screenplay THE CAUL; a Horror/ Psychological thriller which is expected to film in the summer of 2019.
" It is extremely important to empower our young queens and kings, they will rule once we are gone". People inspire me to write! I feel like there's so much information out there that people aren't aware of, especially youth. The youth are very uninformed. As a writer, I feel it's my obligation to inform them. I need music and great scenery. Even if I don't have great scenery, great music is a must-have! I usually write down several topics that I believe may interest people. I do extensive research on my topic of choice. Then I'll just pick up my laptop and create magic! Creating a character sketch is a ritual. I need to be sure that my protagonist has traits that will keep my target audience intrigued. Oh most definitely!! I ask them if they want to be the hero, heroine or perhaps the villain. I even ask them what country or economic status they want to have. I think all writers should converse with their characters. If you don't familiarize yourself with them first, you can't expect your readers will. Write books that will benefit others!! Also, don't be so hard on your self. That bestseller is floating around in your brain, so just write it! I published my books independently, through Amazon and Lulu. I had a vision for my first two books and I felt that I had to execute it on my own in order to achieve exactly what I wanted. It was also the more budget-friendly decision at the time. However, I would definitely encourage a new author to explore. You may find a publisher who totally believes in your vision and may be willing to work with your budget. I believe independent publishing will become more and more popular. It' s evident that e-books will eventually dominate. I'm also exploring audiobooks, as I think they will become very popular in the years to come.